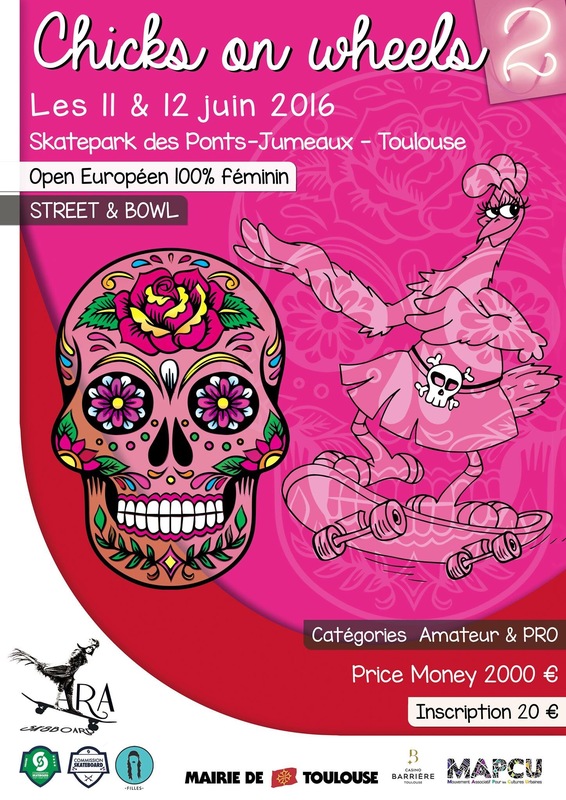 The 11th & 12th June will see the second Chicks on Wheels competition in Toulouse, France! With a prize purse of €2000 and plenty of prizes to be won in Amateur and Pro, Street & Bowl competitions alike, there is something for everyone. Join the Facebook event page here for more info!